In need of new bushings to replace old worn out ones? 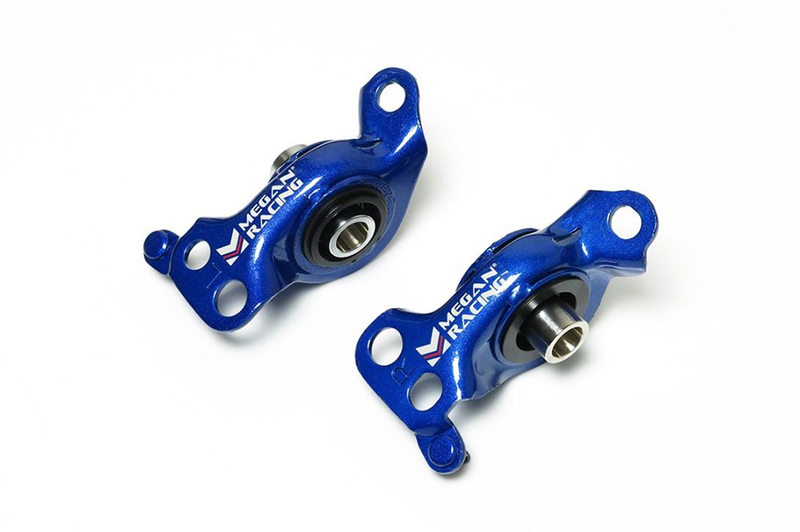 Take a look at the performance bushing kits offered by Megan Racing. OEM units are made from a rubber compound, which deteriorates over the years. An OEM bushing can become softer as it wears out. Therefore a bushing past its prime can become less capable of resisting the forces being placed on them. Megan Racing bushing kits on the other hand are 20%-30% stiffer and do not deteriorate in performance over time. Additionally the benefit of the increased stiffness is more control of the suspension. The result makes the driver feel more comfortable.